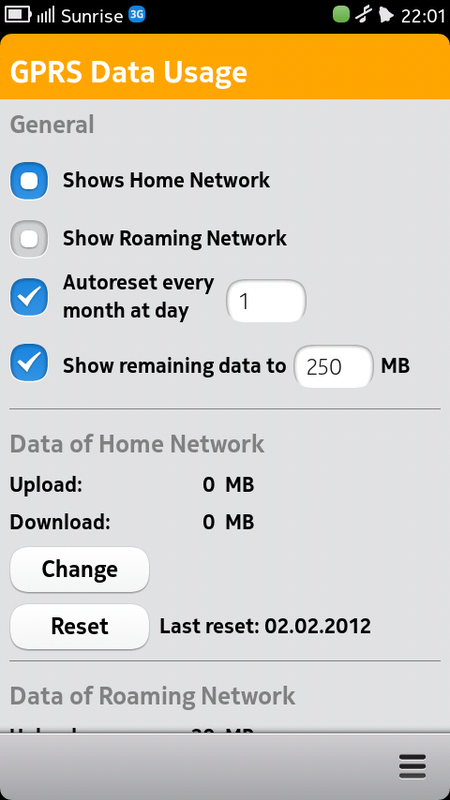 GPRS Data Usage is a small application I wrote for the Harmattan Operating system of Nokias N9 mobile phone. 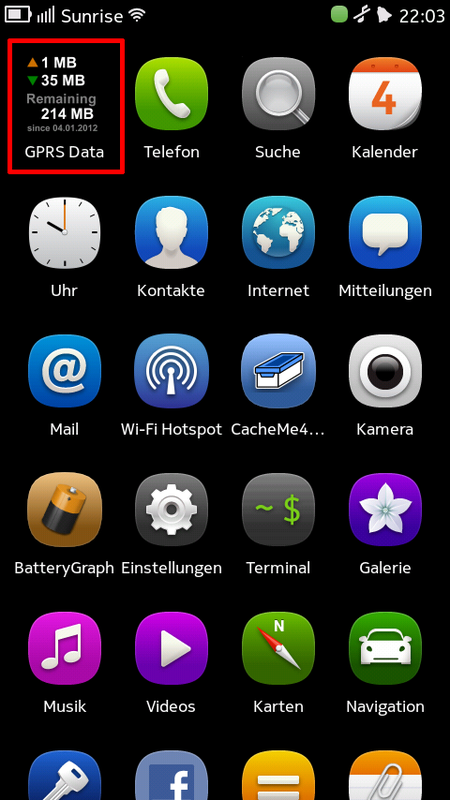 It shows the current GPRS data usage in it’s icon. 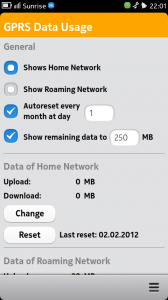 You can select between the home network or the roaming network data to be shown. Also it can show how much data is left if you have a bandwidth limitation. You can automatically reset the counter every month on a specific day or set it manually to a certain value. Please George, kindly post the app her; Ovi isn’t working. You know Microsoft sent everything to Opera. I’ll check back after Sabbath Service today, or tomorrow. (I may be compelled to go learn programming). Could you please post your .deb file here since Ovi store is down? At least the website is still running!